I found myself in Club Monaco (ouch) while shopping in Soho with a friend, and oddly enough came across the book, Black Paintings. 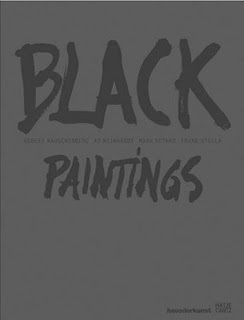 It depicts the use of black in painting from the '3 R's' of the 1940's New York School: Rauschenberg, Reinhardt, and Rothko. Finding it amongst a sea of black, despite the overarching artlessness of the clothing around me, was quite heartening. 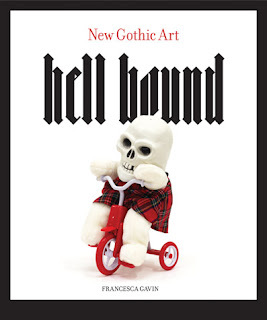 I got Hellbound at the Boston ICA when I went to check out a recent exhibit. I think it's RAD but I hate that stupid skeleton on the cover. At least what's inside more than makes up for that!! yeah, agreed. it's pretty cutesy and the stuff inside is anything but!